The SEDCO Board of Directors will host the organization’s 30th annual meeting on October 6, 2015 at the Black Point Inn. The event will feature Danielle Ripich, Ph.D, University of New England’s (UNE) President, as the keynote speaker. The selection of Dr. Ripich as the keynote speaker reflects the importance of the health care sector in Scarborough’s economy. The health care industry comprises 18.6% of the town’s economic base. Manufacturing of bioscience products and services pushes the importance of the industry even higher. UNE is the largest educator of health care professionals for the State of Maine. 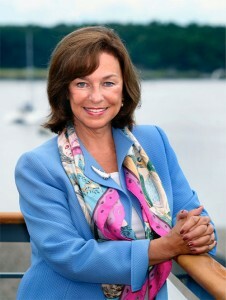 Dr. Ripich assumed the University of New England presidency on July 1, 2006. Soon after her arrival, President Ripich initiated a strategic planning process, resulting in a 10-year strategic plan that has guided UNE to unprecedented growth. Over the past six years, student enrollments have grown 70 percent, and UNE has expanded to include a new campus in Tangier, Morocco, seven new buildings on UNE’s two Maine campuses, and three new colleges. Under President Ripich’s leadership, the University has embraced a commitment to educate and prepare UNE students for a global society. The SEDCO Annual Meeting attracts more than 100 community and business leaders each year. Tickets to the event will go on sale in August. 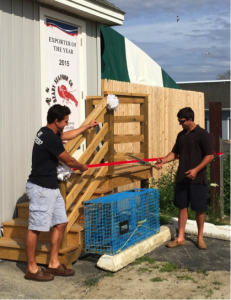 Ready Seafood Opens in Pine Point SCARBOROUGH,MAINE (July 15,2015) John and Brendan Ready hosted a ribbon-cutting ceremony to celebrate the new Ready Seafood facilities in Pine Point on July 15, 2015. A host of dignitaries attended, including Maine’s Commissioner of the Department of Economic and Community Development, Travis Kennedy, Senator King’s office, Representative Karen Vachon, Representative Heather Sirocci and many others. Located at 350 Pine Point Road, the facility incudes a state of the art lobster holding area using tube storage of live lobster. John Ready explained that this site is the only facility of its kind in the state. The storage technique significantly extends the length of time that lobsters can be stored, allowing the company to weather the volatile changes in lobster pricing. The company ships lobster all over the world – exporting represents nearly 75% of their revenues. To learn more about Ready Seafood, check out the video developed by the Maine International Trade center. Mainebiz profiles Kent Peterson, President and CEO of Scarborough-based Fluid Imaging Technologies in the 2015 Fact Book, published July 6, 2015. 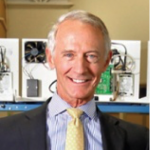 Calling Kent “a tireless advocate for Maine”, the profile highlights Kent’s devotion to to Maine, his assessment of Maine’s advantages and the importance of global markets to a company like Fluid Imaging Technologies. The Mainebiz Fact Book is only available in print. If you would like a copy, Click the link.